GAROWE/HARGEISA, Somalia Oct 20, 2014 (Garowe Online)-United Nations Monitoring Group on Somalia and Eritrea has warned of looming threats of instability in northern Somalia as a result of Oil Protection Unit (OPU) being proposed by Somaliland’s separatist administration, Garowe Online reports. Though Somaliland has informed the 8-member panel of UN independent experts that it would comply with weaponry embargo on Somalia, the move could trigger armed confrontations between the visible forces, notably Puntland and Somaliland in the disputed territory of Sool according to the report. 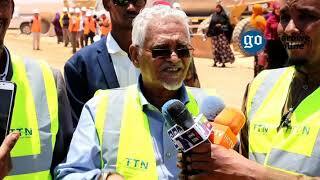 In accordance with inadequacy of information on the nature of Sool conundrum by Somaliland Internal Affairs Minister Ali Mohamed Waran Adde , the Monitoring Group has raised concern over OPU, advising Somaliland not to attempt to import any weapons or training without United Nations Security Council prior consent. “The Group recommended a political dialogue to resolve disputes over resource allocation in Somalia, and for the cessation of all commercial activity in the oil sector,” the report stated. 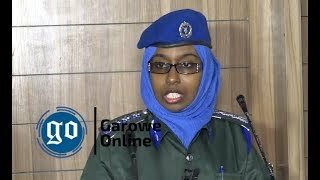 After speaking with Assaye Risk- a London-based risk assessment company and Protection Unit design phase contractor-officials, UN monitors learned that Somaliland wants to draw 580 personnel from the police and armed forces. UK-based company clarified that the territorial force would include six mobile support units of 36 personnel per mobile unit responsible for accompanying and protecting oil industry personnel in the field. 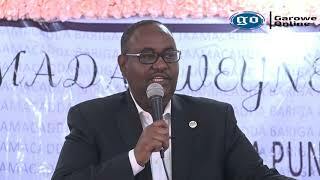 Somaliland granted oil exploration licenses strongly challenged by Somalia Federal Government and Puntland to bunch of foreign companies -Genel Energy, Rakgas, DNO and Ansan Wikfs-which will be pushing ahead with seismic activity following the completion of environmental impact assessments. 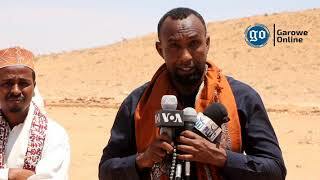 Political analysts who talked to GO voiced concern over hydrocarbon management and standing differences between Mogadishu-based central Government and Federal states when it comes to the oil deals. On April 25, Somaliland troops seized Holhol village in Sool, with units within the forces seizing strategic oil-rich targets. 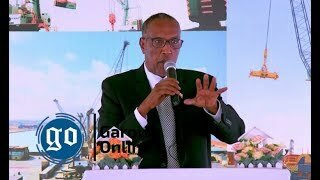 In Septemper 2013, Anglo-Turkish Oil Exploration Company, Genel Energy withdrew its expatriates from Somaliland due to political pressure with the possibility that Federal Government of Somalia threatened license revocation, Somaliland officials initially disclosed. A spokesman for the company afterwards told that security issues forced them to vacate the oil exploration fields in the separatist region. Somaliland government awarded an exploration license for onshore blocks SL-10-B and SL-13 with a 75% working interest in August 2012 but Garowe Online was told that Somaliland renewed the previous license by signing Oodweyne Production Sharing Agreement which covers blocks SL-6, SL-7 and SL-10-A in November 2012 with Genel Energy Company. The proliferation of Western commercial oil exploration companies is likely to risk deeply embedded political division, diplomatic sources say. On August 12, clan militiamen attacked foreign experts working for DNO near Sool region town of Hudur. Puntland and Somaliland, located in northern Somalia have been vying for control of Sool and Sanaag regions in string of battles since 2000, with the self-declared mini-state of Khaatumo more recently declaring it would seek to exercise substantial autonomy without external influence, largely in Sool region.